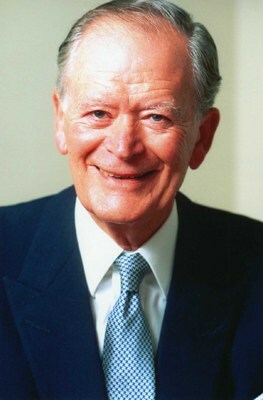 James Derrick Slater (born 13 March 1929) is an investor. James D. Slater was an investment role model for investing public in the U.K., a country where he was born in 1929. He started his career as an accountant, but it didn’t take long for him to change the course of his career to corporate managerial positions. In only ten years, from 1953 to 1963, he worked for three U.K. manufacturing companies, among which was the famous Leyland Motor Corporation. In 1964, he and Peter Walker became business partners and started their own investment company called Slater Walker Securities. The company made it big thanks to Slater’s skills which were shown in some corporative takeovers. In only five years period, Slater Walker became a great industrial and financial conglomerate. In 1969 their investment company got transformed into an investment bank. However, Slater’s business luck didn’t last very long. Soon after becoming an investment bank, Slater Walker Securities were shaken and finally collapsed during the U.K. recession in 1973-74. Recession had huge consequences on Slater, leaving him bankrupt. After bankruptcy, Slater began the next chapter in his career, by changing the course of his career once again. This time, along with some private investing which helped him stand on his feet, he started a career as a financial writer. His column “The Capitalist” was very popular among U.K. investors as well as the general public. He used the column to share his investment methodologies with public. He also founded Investment advisory service which gathered statistics about all publicly traded U.K. companies. “Company REFS”, which was the name of his advisory service and famous column in Sunday Telegraph, made him the best professional investor in the country. In his book “The Zulu Principle” that was published in 1992, he created the price-earnings to earnings-growth ratio (PEG). The PEG is equation that compares the growth and the value of investment and it is widely used in investment analysis. It shows long-term cost effectiveness of the investment. The stock wasn’t expensive for Slater as long as it has earnings growth high. When investing, Slater usually picked companies that had small growth and whose market price was undervalued. In other words his investing style was finding small growing companies that were promising, before they would start growing. Slater wasn’t satisfied with only being successful investor, columnist and investment guru, as he was called by the public. He also had a parallel career as an author of books for children. Even in his late years he remained active in investment business by investing in different small growth companies.